Warren Whitlock is well-known both as a book promoter and an author. He has coached and assisted countless other experts in their quest to become bestselling authors, and he has written books that have helped change the landscape of our modern world. 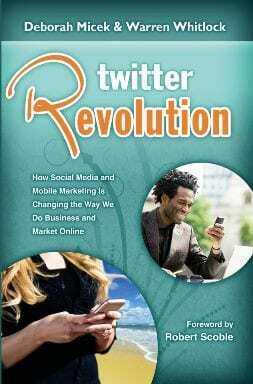 He is the author of the first book ever written about the social media platform, Twitter Revolution: How Social Media and Mobile Marketing is Changing the Way We Do Business & Market Online. The revolution is underway. The power of social media lies with the people who use tools like Twitter.com. You decide how to use your power, and Warren’s book helps you make that decision effectively. He’s also the author of Profitable Social Media: Business Results Without Playing Games. Social media can be profitable if you go in with an open mind, a plan, and listen to your audience! It’s the old market cliché, many markets are an inch wide, and a mile deep. Without profits, social media and your business are just a hobby.